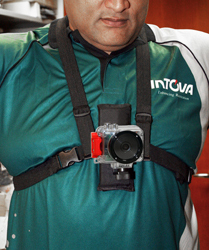 Multi adjustable straps and Secure lock mount allows camera to be worn on chest for a variety of activities. Quick release base for hand held camera use. Compatible with standard tripod mounts found on most cameras.